This year saw the first ski trip to Europe for Teesdale Explorer Scouts. 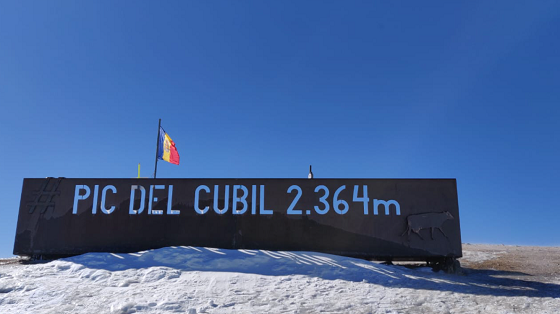 A group of 8 Explorers and Scout Network members and two leaders travelled to Andorra for a week on the slopes. 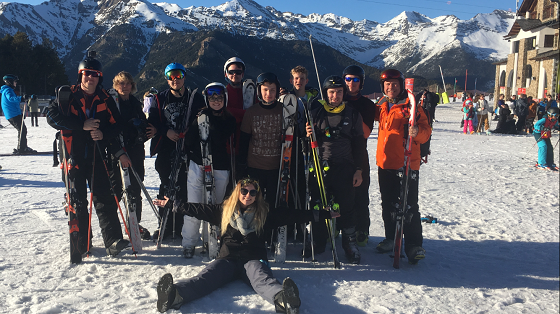 The group consisted mainly of beginners but 4 were experienced skiers. After travelling through France overnight the group arrived at the 4 Star Panorama Hotel in Andorra La Velle. Once settled in the exploring started, visiting local tapas restaurants and seeing the night life of the capital. Once the group had been fitted out with its equipment, we headed to the slopes. Once here the group was split down into ability levels for the weeks skiing to start. The beginners group stayed with their instructor and progressed on from what they had learnt at Silksworth Dry Ski Slope in Sunderland in the few weeks building up to the trip. By day 2 this group had progressed so well that they ended up at the top of the mountain on more challenging runs. The two Explorers who were experienced skiers joined a group from one of the schools we shared a coach with for a couple of days tuition. By the end of the first couple of days these two joined myself and the other leader to aid the instructor teach the beginners. This is where the fun really started with each person seeing who could out do one another with various moves, escapades and literally flying through the air on a couple of occasions into various snow drifts or forest blocks. This all added to the hilarity of the week and built the group dynamics up really well. We found that the best way to achieve this was having a laugh at each other exploits on the slopes as well as some of the chair lifts. By the fourth day of the trip we had the group up to the Andorran / Spanish Border seeing who could stand the longest in the winds. This was our one windy day as the rest of the week saw unseasonal warm temperatures on the slopes (I have never skied before without a jacket and in just a T Shirt). Our final day saw the whole group hit the slopes together using the ski instructor as simply a mountain guide. The day saw each person trying to outdo each other with the types of jumps and the distance they achieved. We also managed to get some of the group tucked up for some serious speed skiing. 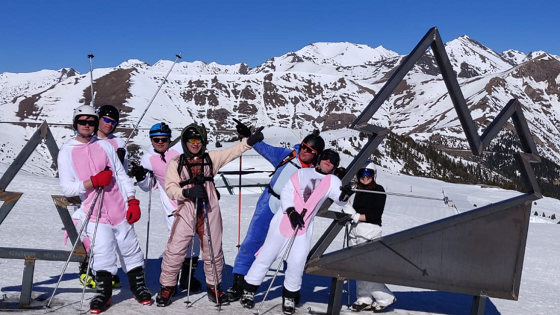 It is worth a mention that the final day on the slopes saw the group attend wearing onesies. It is not the way I expected spending my birthday - dressed as Stitch accompanied by Yoda and numerous Unicorns. Throughout the week the team also enjoyed a few après ski activities including a pizza night in a local restaurant, sledging, swimming and a film night - watching the perfect Scout training film “A Scouts Guide to a Zombie Apocalypse”. The group thoroughly enjoyed the week and arrived back in the UK thoroughly tired and laden down with copious amounts of Toblerone. On a personal note this is the first ski trip I have organised for Explorer / Network and I have decided that it will be something I organise every two years. I plan the next trip will be in 2021 and I will open the trip up to the scout county. So if you are interested in putting your name down please keep an eye out as I intend to publicise around Autumn 2019 for places.